The exchange of experiences between representatives of the projects funded in the First Call of SouthMed CV, and the work between them to facilitate mobility and networking beyond the frameworks of SouthMed CV, are the main objectives of the encounter taking place in Tunis, from 4th to 8th of April 2016. This encounter is hosted by BAC Art Centre and co-organised by BAC Art Centre and Interarts, SouthMed CV consortium partners, and is one of the Mobility and Capacity Building activities of the project. From Morocco, will participate representatives of: ‘The Greenhouse – a platform for artistic experimentation in Casablanca’s public space’, ‘Think Tanger’, ‘Une danse pour demain’, ‘Promotion of the culture of human rights among youth’ and ‘Participatory research and artistic divulgation of Intangible Cultural Heritage associated to Chefchaouen Mediterranean Diet’. From Algeria: ‘Research on abandoned buildings in Algiers’. From Tunisia: ‘Sail’, ‘International Photography Encounters – Ghar el Melh, 10th Edition’. ‘Debbo 52’, ‘Cinema clubs 2.0’, ‘MADA (Music against dis-ability)’ and ‘Let’s write the next chapter’. Each sub-granted project has the opportunity to make themselves known to the others, receive feedback from colleagues and recommendation by three invited experts: SanaTamzini, visual artist and director of the Fine Arts department of the Ministry of Culture of Tunisia; Dalel Tangour, photographer, University lecturer and Vice president of BAC Art Center, Tunisis; and Sara El Hamed, performance artist and co-founder of “Art in Maghreb – AiM” and UN-MI-DIE cultural platforms. 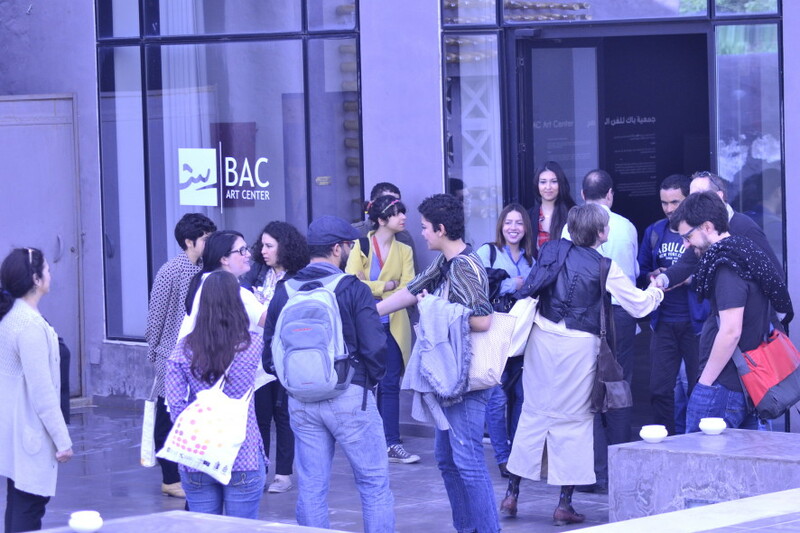 Representatives of the SouthMed CV Consortium also attend the encounter: BAC Art Centre, Tunisia; Gudran, Egypt; Khayal Arts & Education, Lebanon; National Centre for Culture & Arts, Jordan; German Commission for Unesco, Germany; and Interarts, Spain. In the morning of 8th of April there will be a public presentation of SouthMed CV’s 2nd Call for proposals at BAC Art Centre. The remaining seven sub-granted projects will meet in a second Mobility & Capacity Building Encounter in Beirut, Lebanon, from the 18 to 21 April. SouthMed CV is co-financed by the European Union within the framework of the regional programme Med Culture.